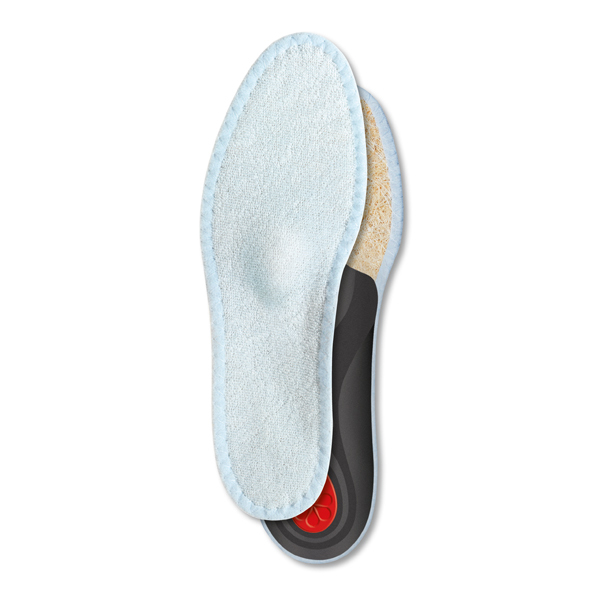 This foot support is an anatomically shaped foot bed with Longitudinal arch support, heel pad and metatarsal pad. Has integrated silver ions to provide odour-free feet. Absorbent BIOACTIVE fibre and breathing sisal for long lasting hygiene.